This patient had rotted out front teeth. 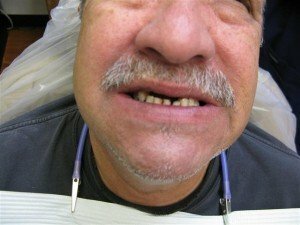 He wanted the quickest and cheapest option to replace his rotted out front teeth. 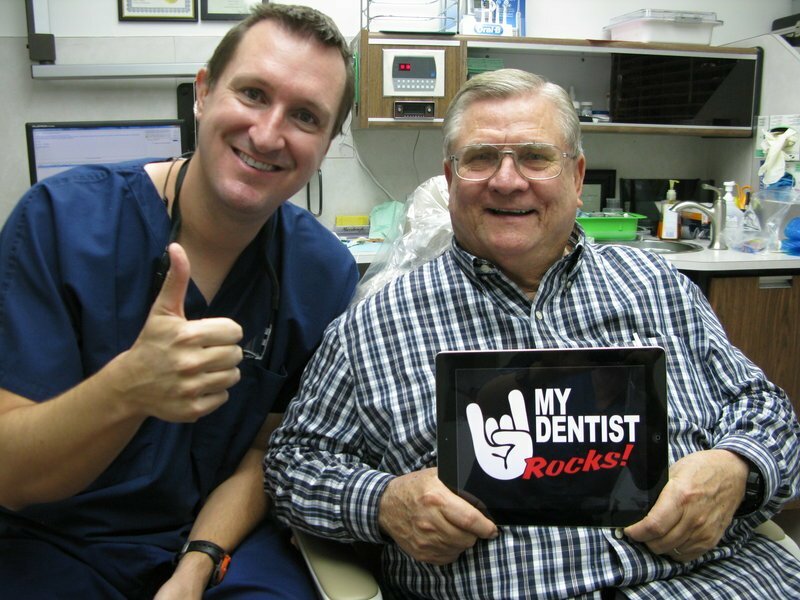 Dr. Nugent extracted the teeth and made a No Metal Upper Cosmetic Partial Denture. 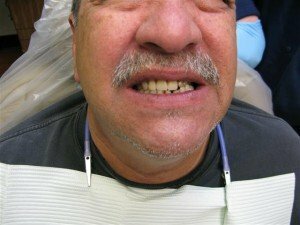 A dental implant bridge would have been the best treatment option. 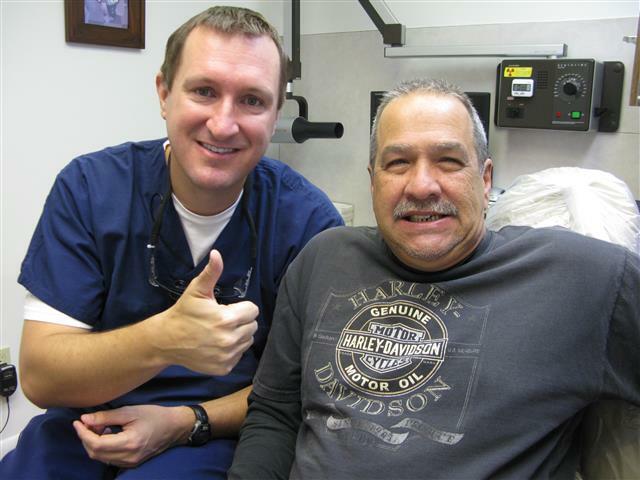 However, the patient had limited finances and choose to go with a partial denture. Although Dr. Nugent is a leading implant dentist, he will listen to your concerns and offer solutions that fit the patients desires.